If your tile and grout are looking dull and dirty, there is no need to worry. Our advanced cleaning methods will restore them to their original condition. This includes getting rid of hot water deposits, lime scale, mold, and dirt. Even if you have any discolored grout, we can make it shiny again with our Quality Tile and Grout Cleaning in Cherry Hill, NJ. We'll keep germs and allergens away from your walls and floors with regular and professional cleanings that will prolong the life of your tiles. When you have rooms that are constantly wet, such as bathrooms or even kitchens, your tiles are prone to molds and bacteria. These will need good professional detergents to get rid of them, and Majestic Carpet Cleaning has just the thing! With us, our Quality Tile and Grout Cleaning offers regular maintenance, reduction of health hazards, and will eliminate all premature renovations. The best part of all is that we can combine this with your carpet and upholstery cleaning services. At Majestic Carpet Cleaning our Quality Tile and Grout Cleaning will do a complete cleaning process of your wall and floor tiles. 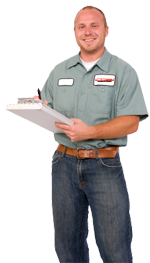 Our team of expert certified, technicians are highly qualified within the industry. During a cleaning, after we do a completely free inspection for loose tiles and grout. We'll pre-treat any found contaminations or heavily stained patches. We will use only the best professional detergents and we'll see to it that all surfaces are agitated. While we do this, we'll be using a high-pressure water machine to rinse and extract water and grime. With our process, rest assured drying time is minimal. This is because our equipment leaves behind less than nothing when it comes to moisture. We do all this manually with professional solutions and accessories. All dirt, grim, lime scale, and mold are pre-treated, scrubbed, and wiped clean. Our Quality Tile and Grout Cleaning in Cherry Hill, NJ will give a clean and fresh look that is 100% healthy. Regular cleaning is important especially in commercial places with a lot of traffic. These places need special, professional care frequently. Do not hesitate, give Majestic Carpet Cleaning a call today and let us take care of those moldy tiles!